Betsafe’s new site released before being tested properly? 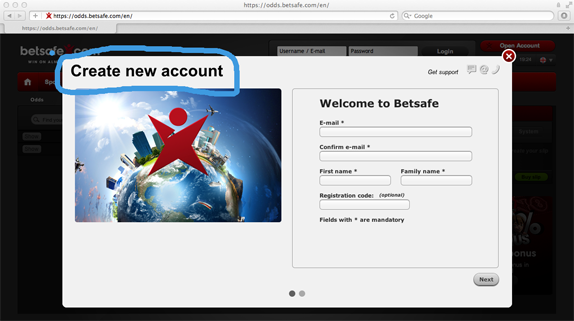 This week Betsafe launched their new site. There are many new games and products, but I can’t help but feeling that the site was released before being completely ready. I’ll give two examples of “mistakes” that in my opinion shouldn’t exists on a new site. In the image above you can see what the sports book section looks like using Safari on the mac. I’ve tried accessing the “Sports” section probably about 10 times since yesterday and the “Loading” part don’t disappear. 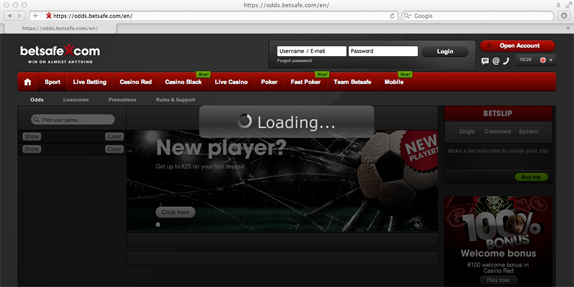 I would call this error to be critical, it hurts Betsafe’s business and should have the highest priority to be fixed. It also means that it is impossible for me to place bets. Which in the end makes me a lost customer for Betsafe. I want to bet now, and if I can’t then I’ll go to one of the other sports books out there. Example 2 isn’t as serious as example 1, but naming the same thing by different names still it shows that the site isn’t ready. Both examples should be found when testing the site. So it surprised me when I found them. The new site also looks really busy, but that will be input for an upcoming “Redesign in 20 minutes”.